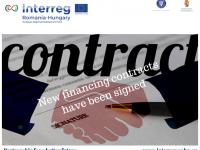 The Interreg V-A Romania-Hungary Programme announces the signing, by the Ministry of Regional Development and Public Administration in Romania as Managing Authority, of 7 new financing contracts, selected in the frame of the 2nd Open Call. The 7 contracted projects have a total value of EUR 1,131,827.70 out of which 962,053.54 EUR from the European Regional Development Fund. 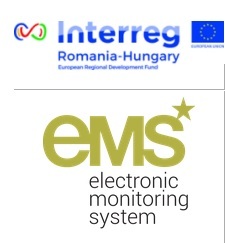 The allocation of ERDF funding is of EUR 646,013.34 for Romanian beneficiaries, respectively EUR 316,040.20 for Hungarian beneficiaries. The contracted projects concern initiatives regarding promoting cross-border cooperation between institutions (Investment priority 11/b1) and between citizens (Investment priority 11/b2). We wish success to all beneficiaries in the implementation of the projects and we assure them of our full support in the implementation of the actions planned, in order to achieve their established objectives.